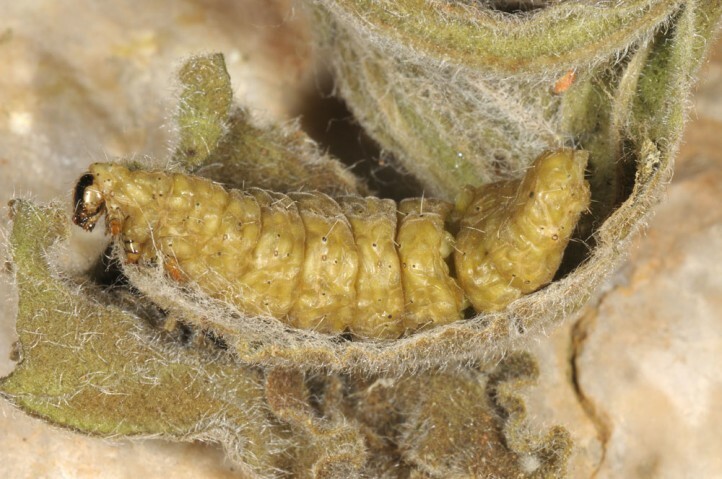 I found larvae and pupae near Delphi (Central Greece) only on Alkanna hellenica (Boraginaceae), a close relative of A. orientalis. 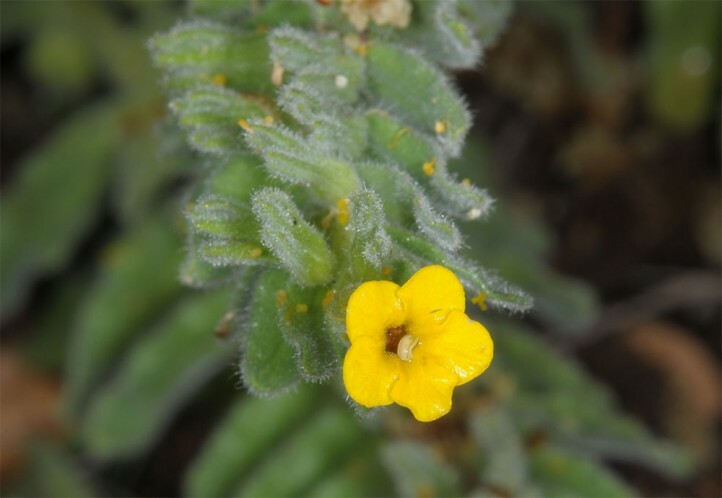 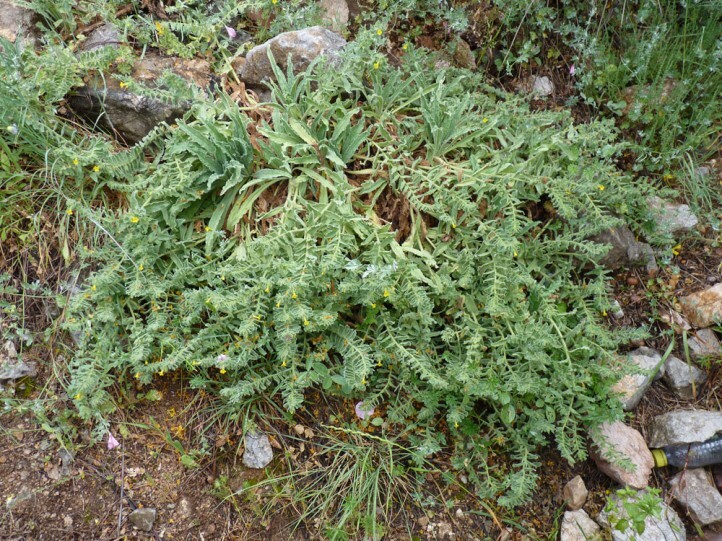 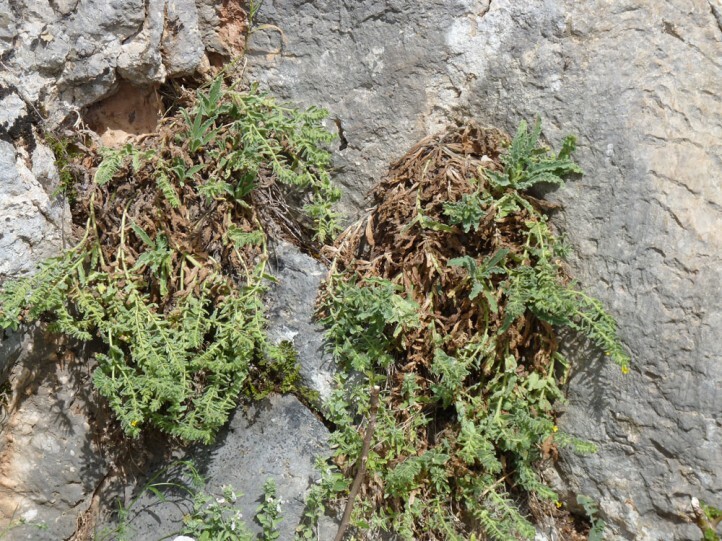 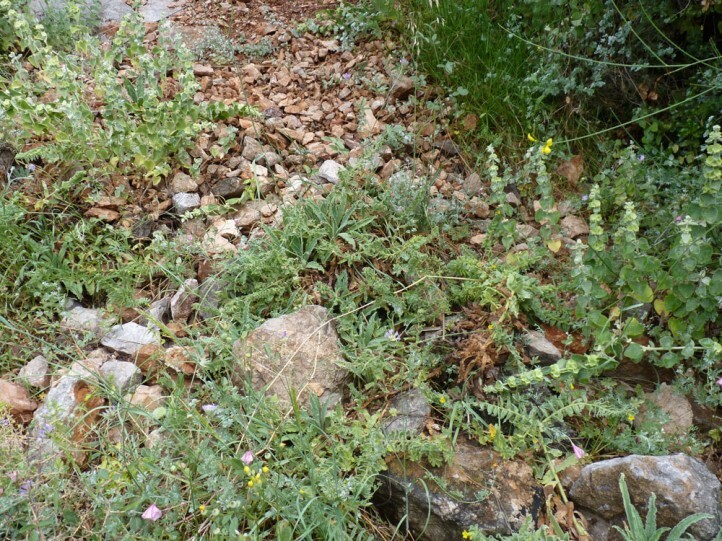 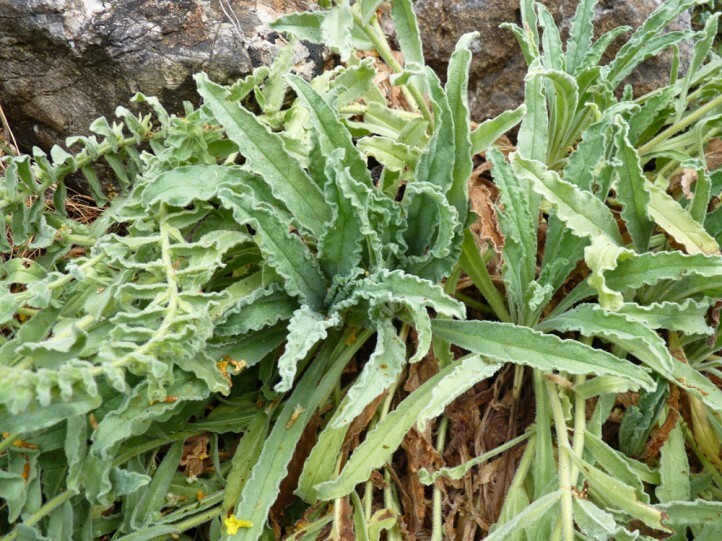 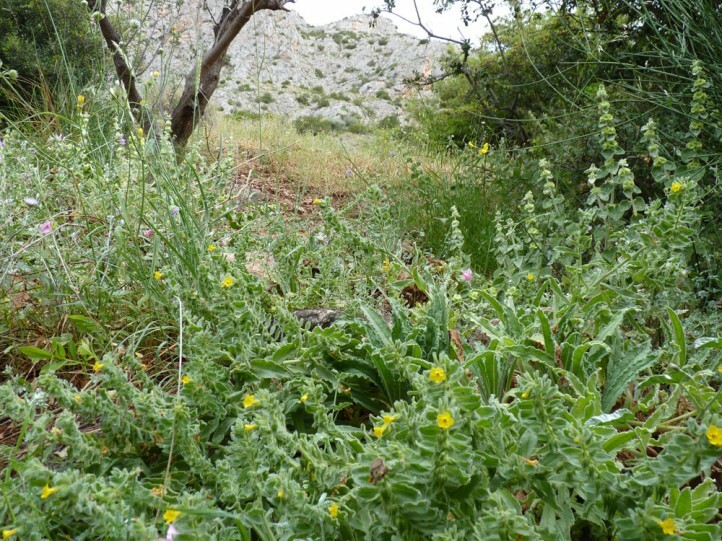 Elsewhere, also related Alkanna species should be used as host plant. 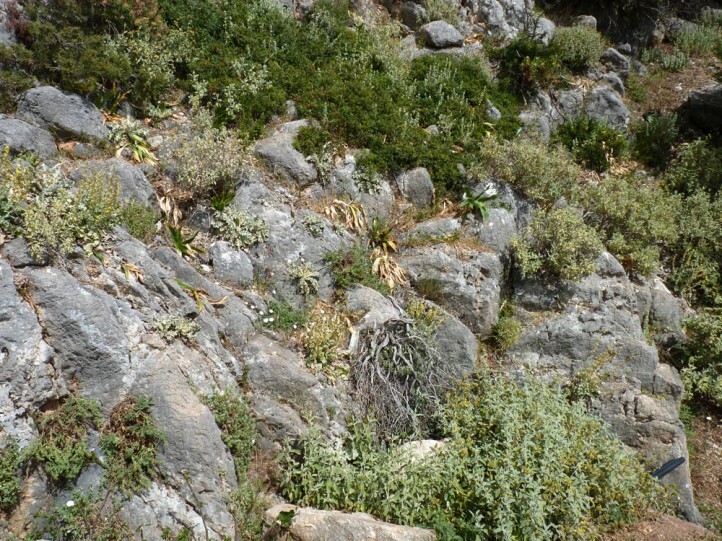 Euchalcia chlorocharis inhabits rocky slopes, embankments, cliffs and open scrub in altitudes mainly between 200 and 1700m, provided that the quite local host plants occur. 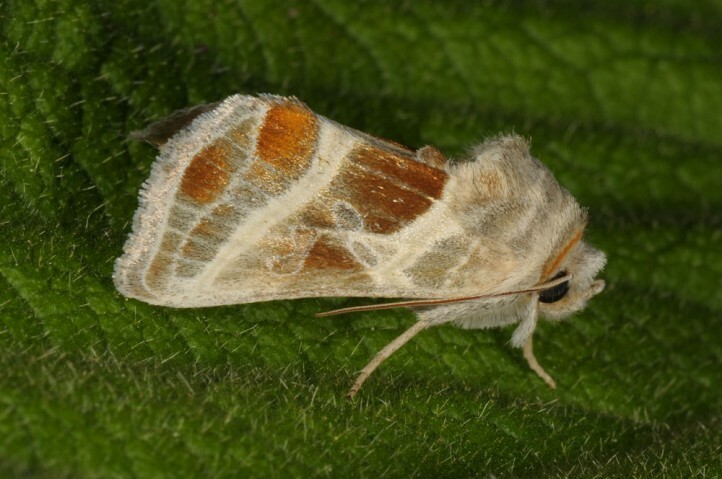 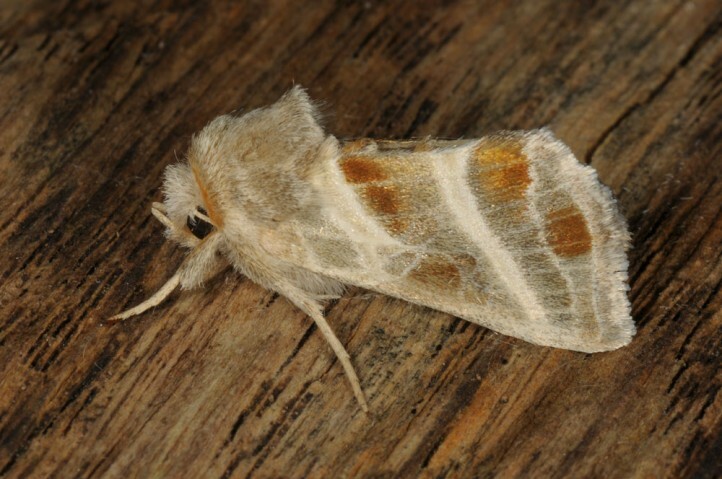 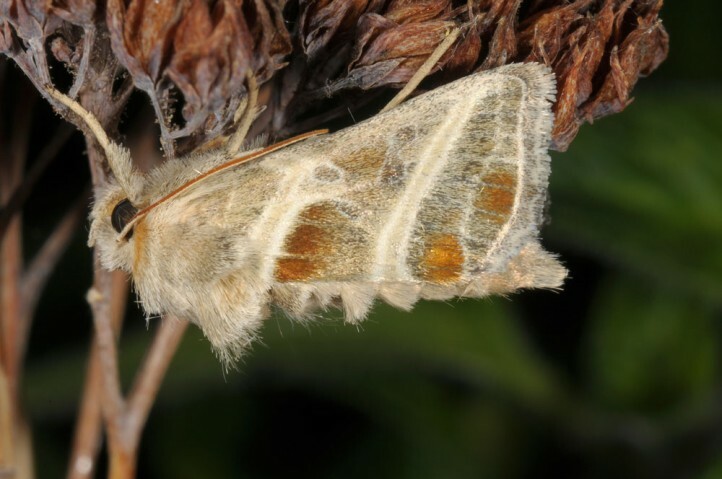 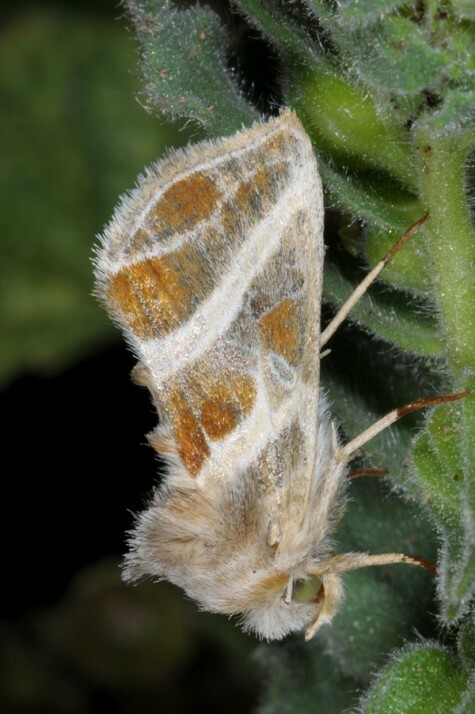 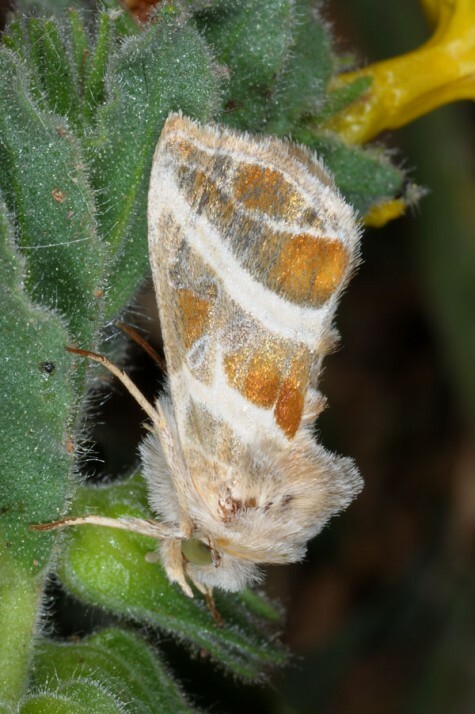 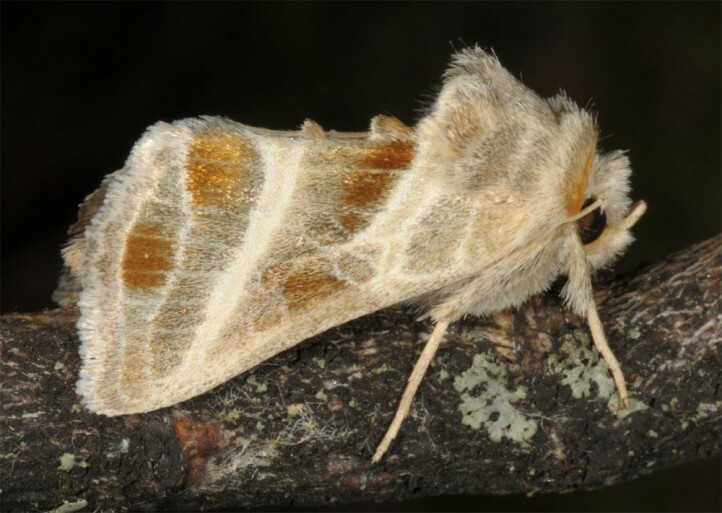 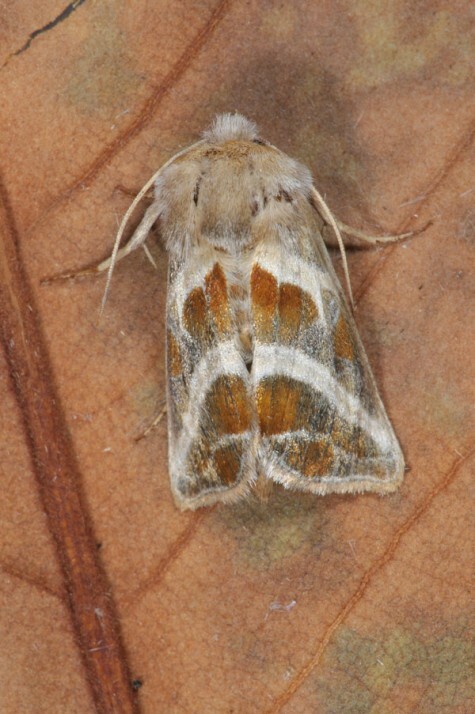 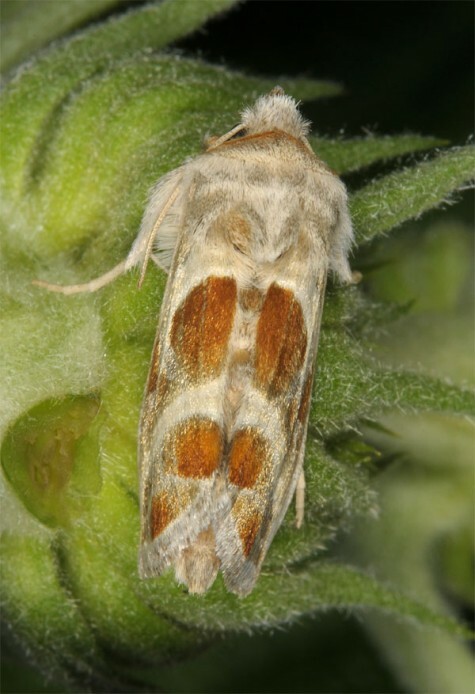 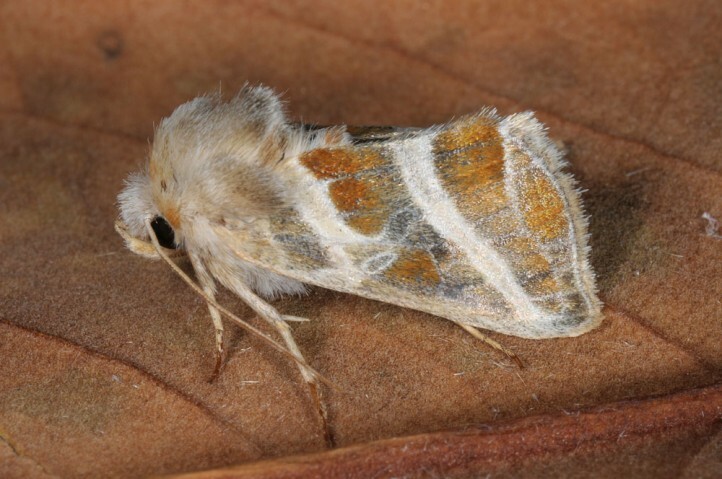 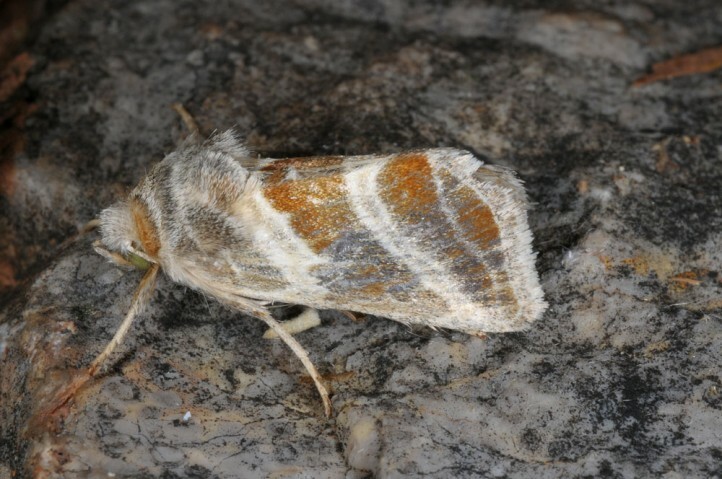 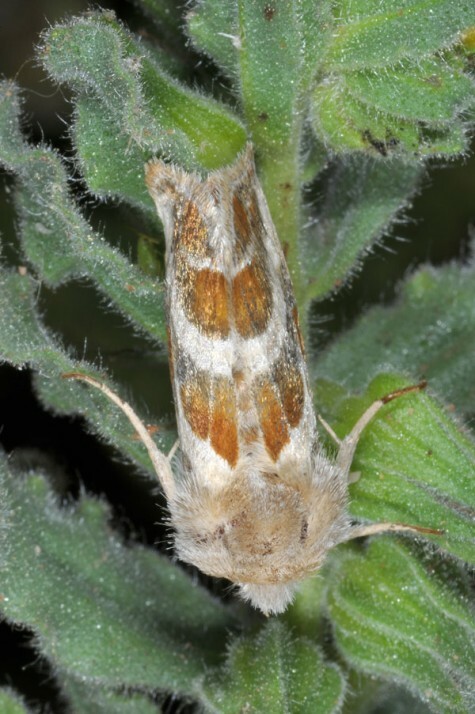 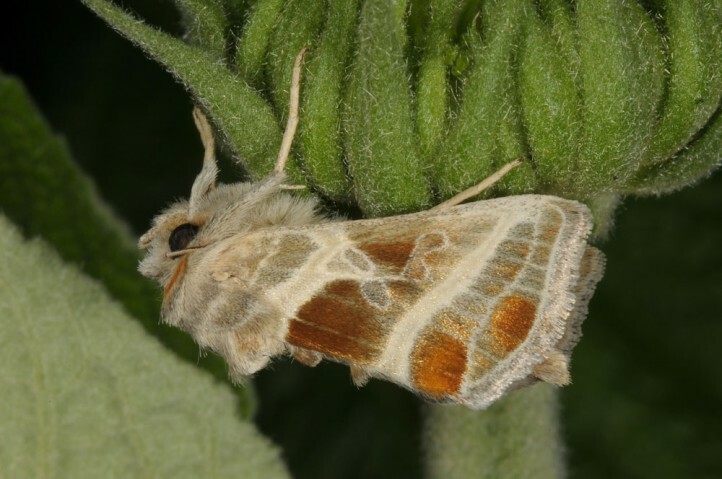 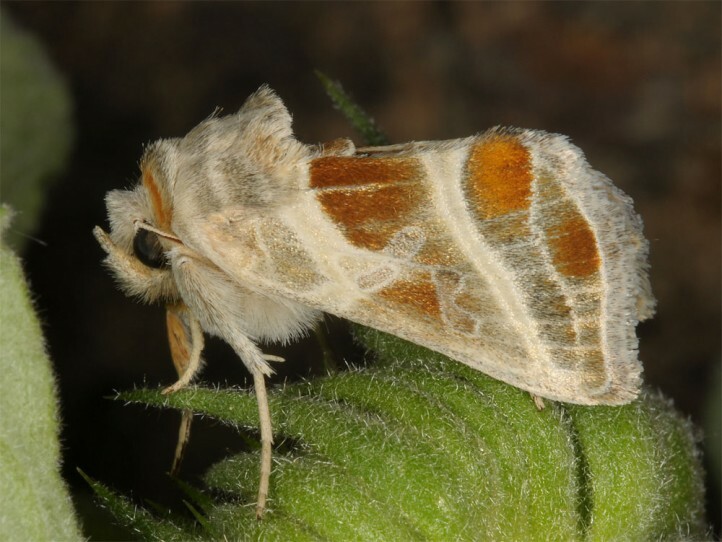 Obviously Euchalcia chlorocharis occurs in one generation with moths between early May (in hot years already in April) and July, according to altitude. 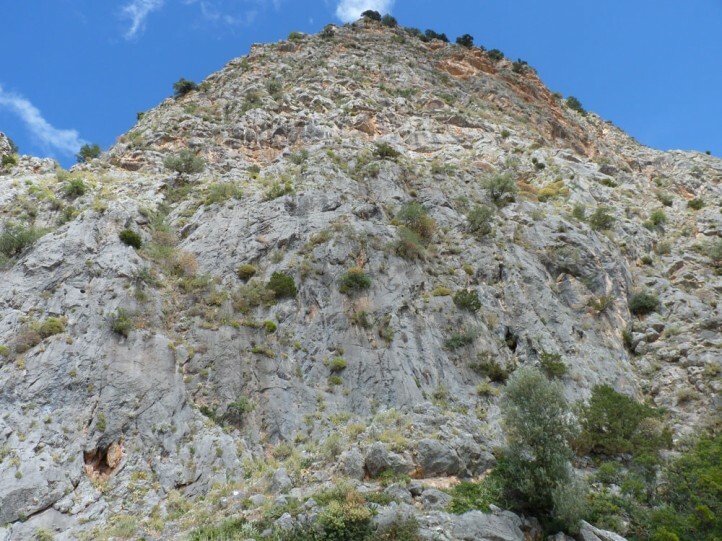 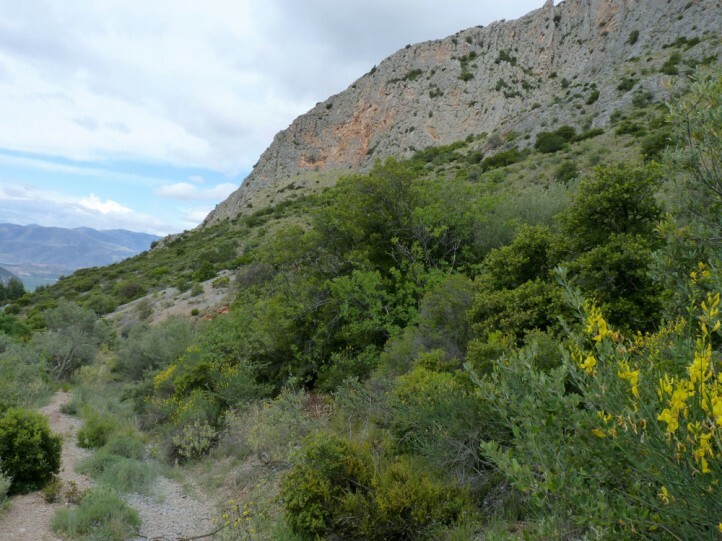 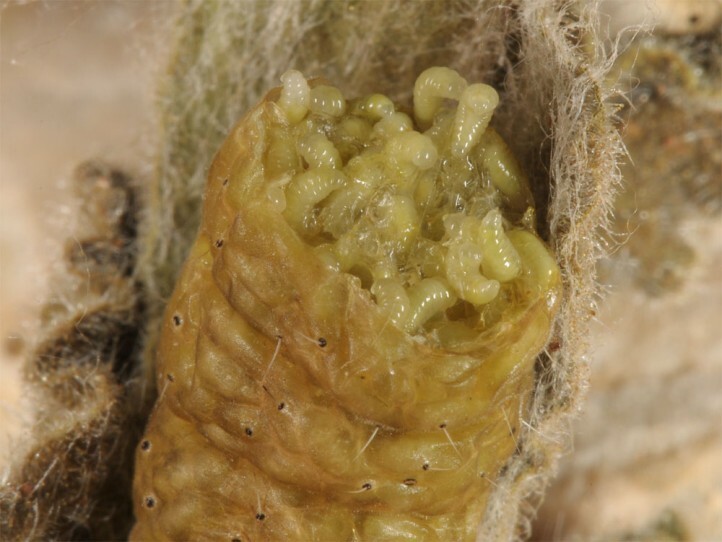 In the quite warm spring of 2016 I recorded last larvae, pupae and many empty cocoons and moths in early May (Delphi, 400-800m). 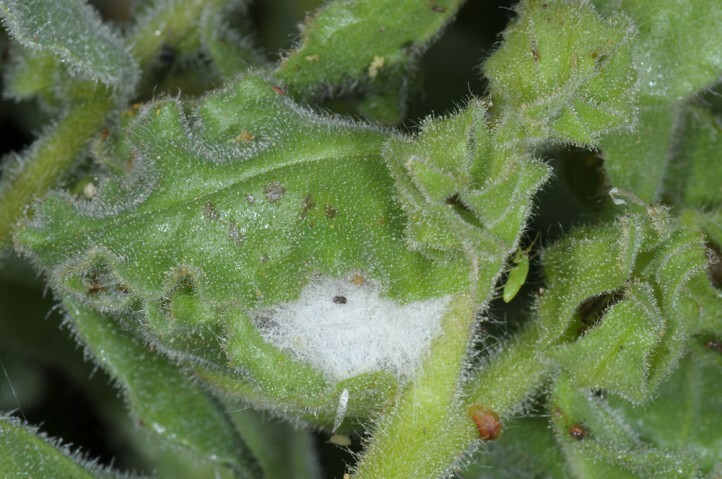 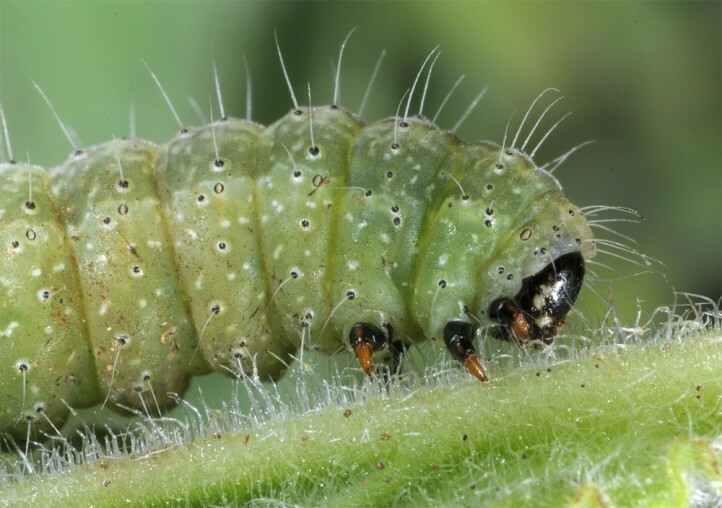 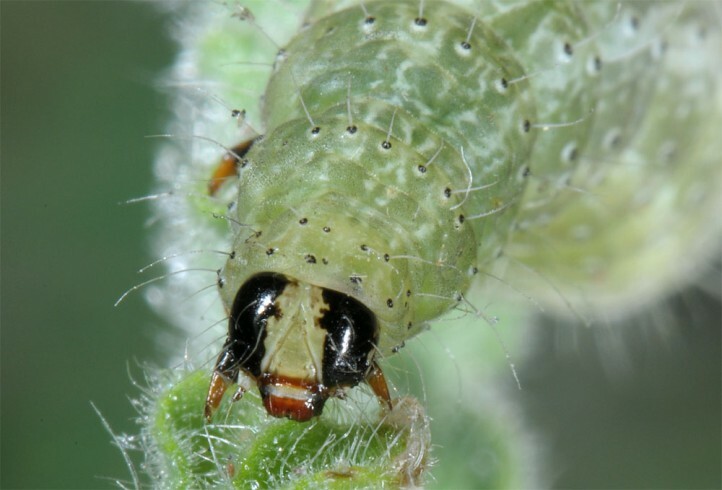 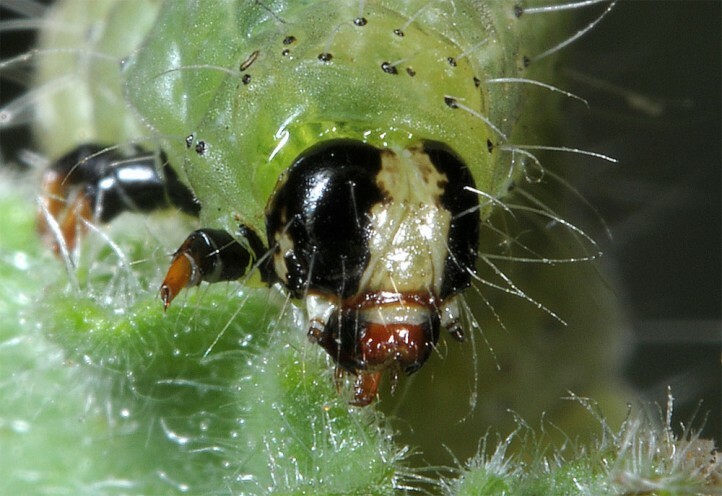 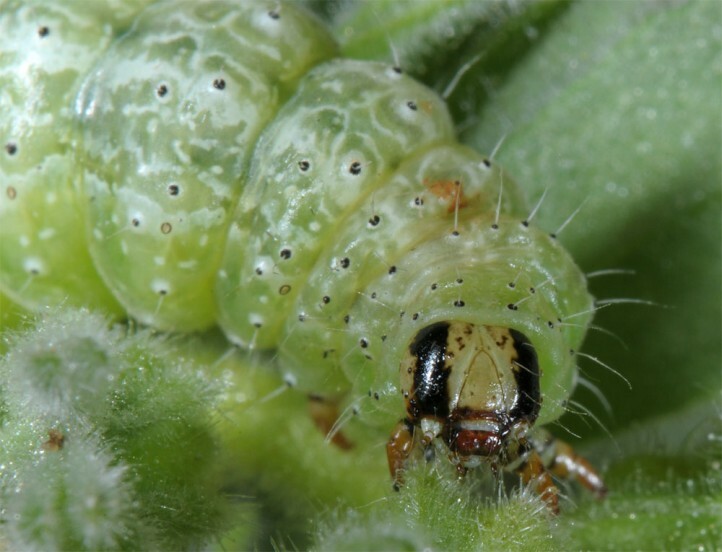 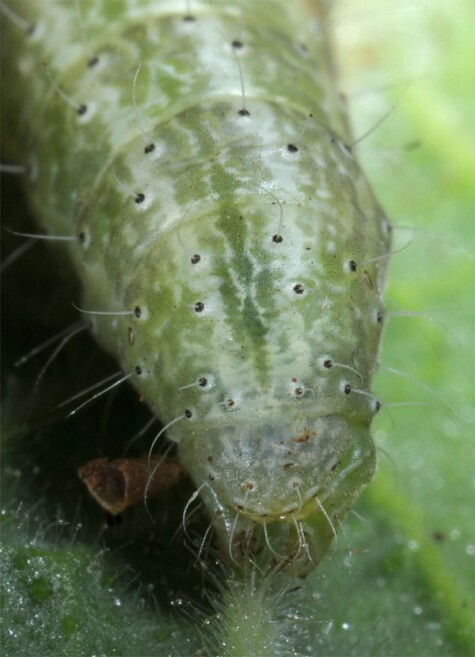 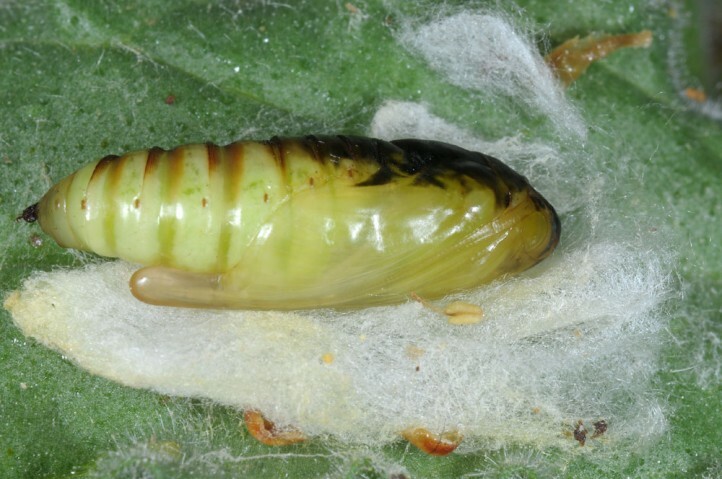 The young larvae should live from late February or March in spun shelters in the tip of shoots. 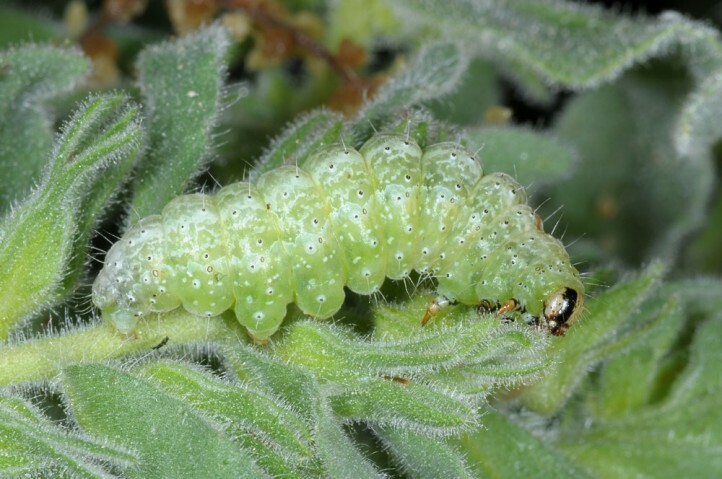 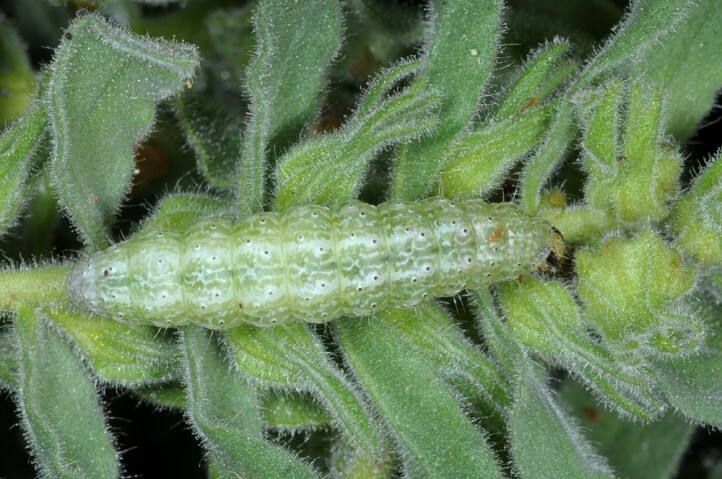 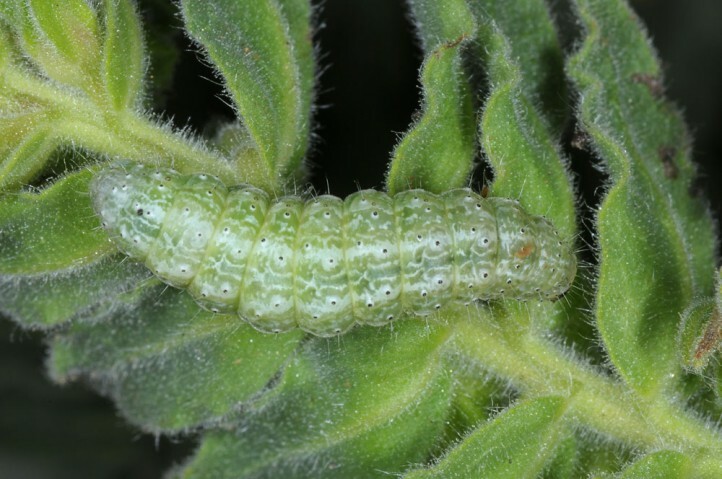 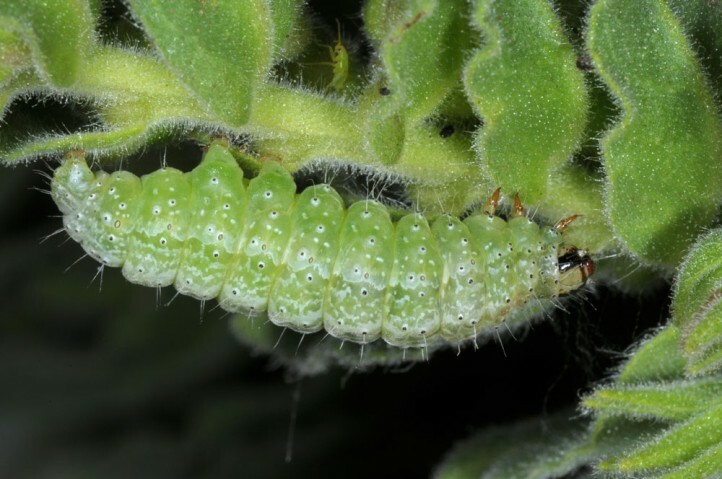 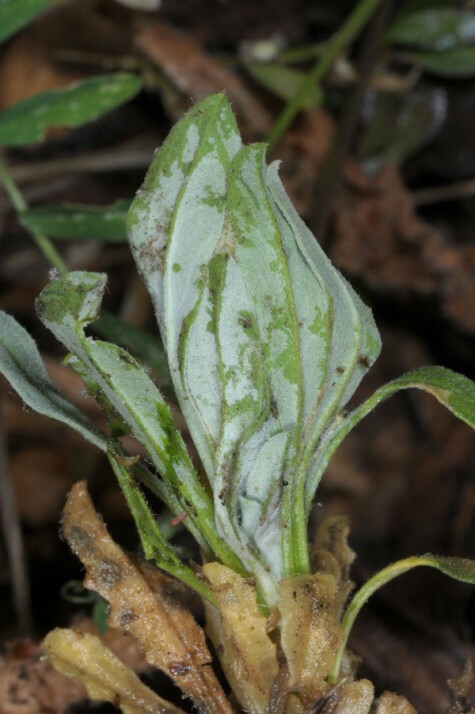 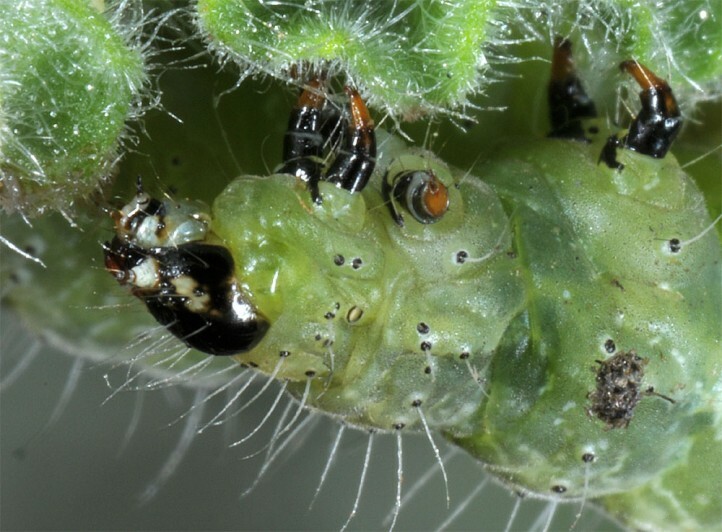 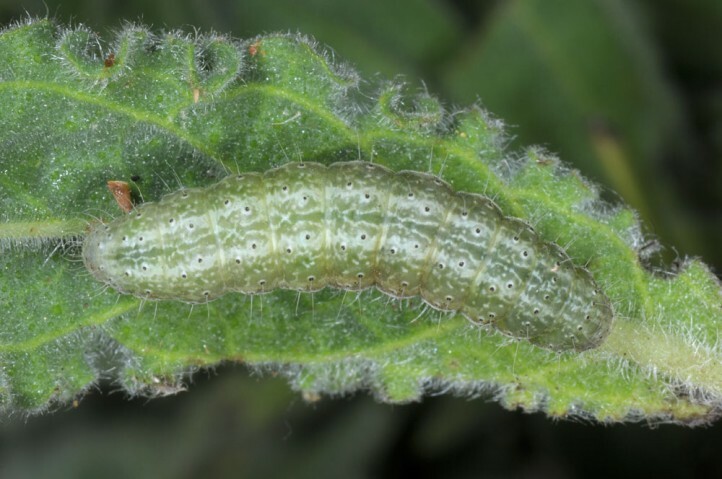 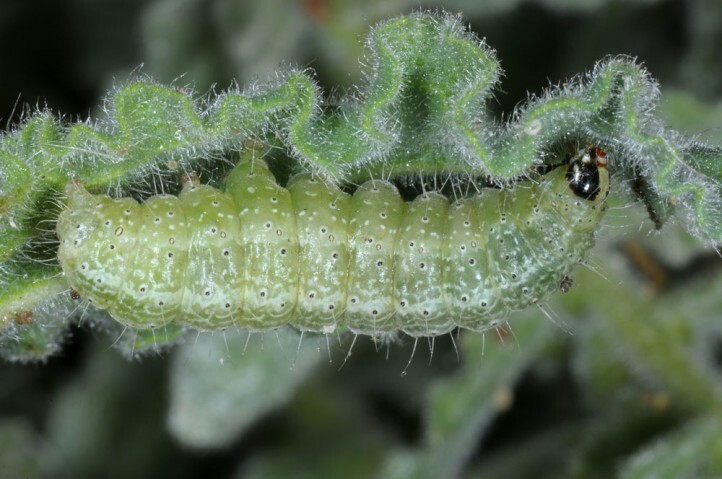 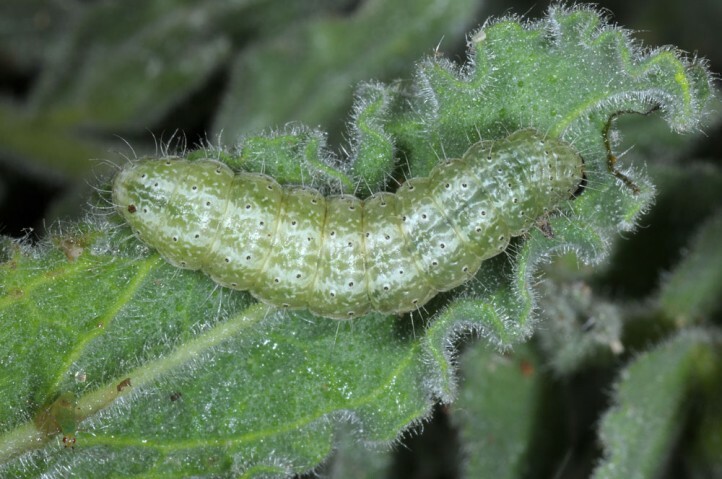 Mature larvae live freely on the plants and are well camouflaged. 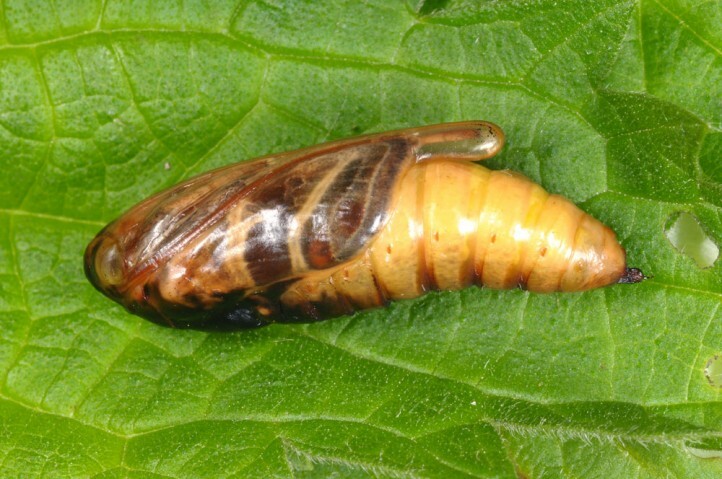 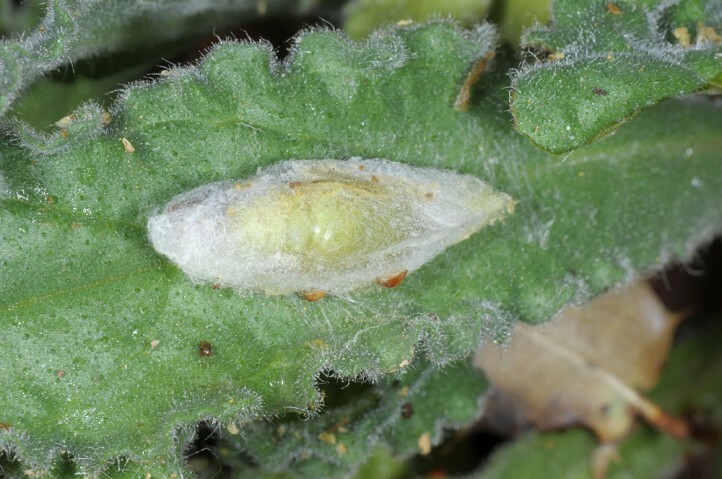 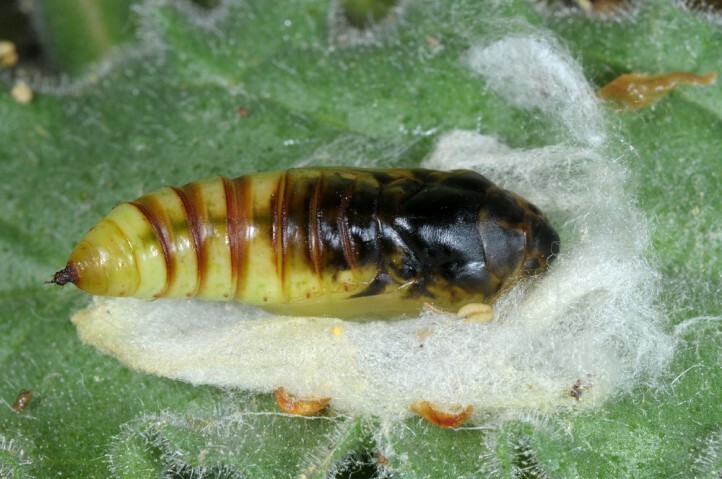 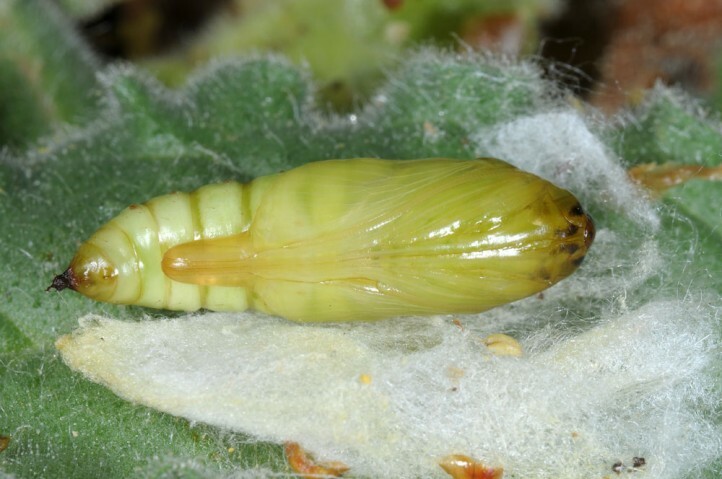 Pupation occurs in a dense cocoon between leaves (most often near the ground) of the host plant or surrounding vegetation. 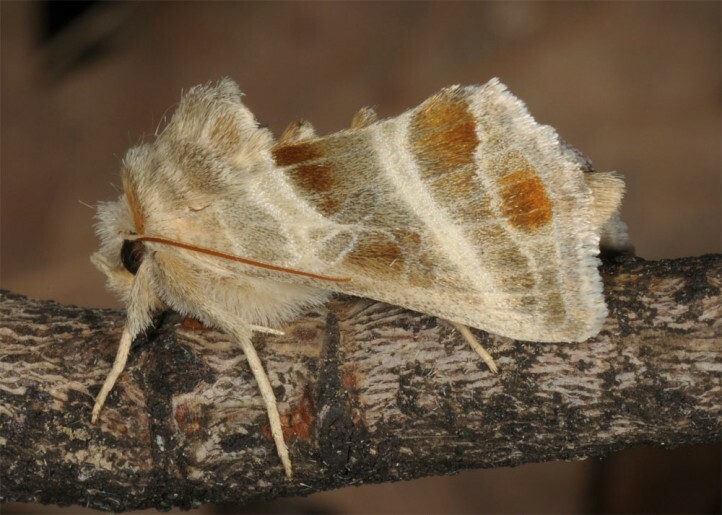 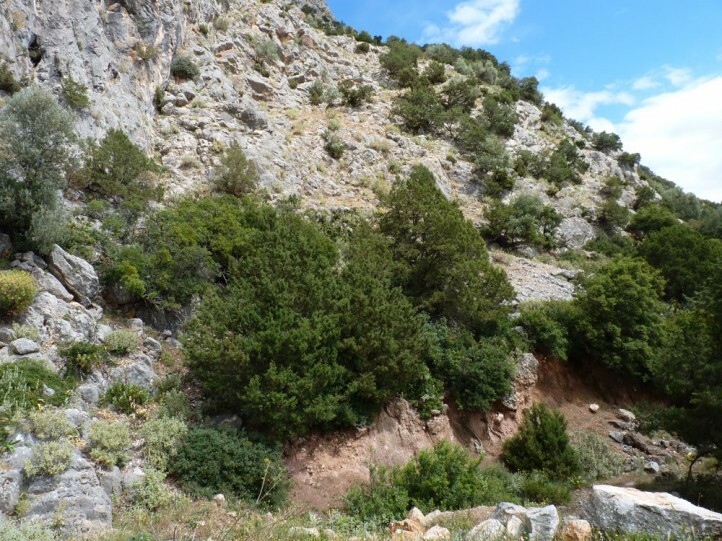 Euchalcia chlorocharis is endemic to the Balkans where it is scattered especially in Greece in the mainland from the very North southward to N-Peloponnese, but also in adjacent parts of Albania and Macedonia.